US 78's end in Memphis. 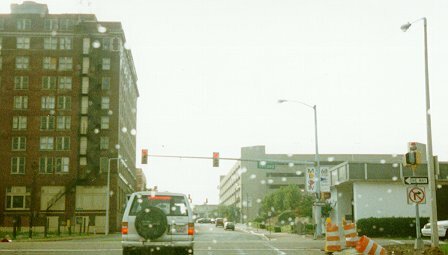 Contrary to most maps, US 78 ends at an obscure street intersection in downtown Memphis. The cross street is southbound TN 14, a secondary state route that runs through downtown Memphis. Photo by Adam Froehlig.